There are plenty of brilliant words used in other languages that have no English equivalent. Then again, there are plenty of words that the English language has that other languages lack. And then there are languages that lack some of what we might consider the most fundamental words—yet somehow manage to get by without them. English, along with the vast majority of the world’s languages, uses what linguists call “egocentric” or “relative” spatial description. So if you were to describe where something is, you would give a description referring to how it’s positioned relative to you. “The light switch is to your left. The TV is on your right.” Likewise, if you were asked to give directions, you’d describe the route relative to your position along it at each point. “Turn left at the traffic lights, then take the second right.” The problem with egocentric descriptions like these, however, is that they constantly alter as we change our position—all it takes for your left and right as they are at the moment to become your forwards and backwards is a 90-degree turn. But the 780 speakers of the Australian Aboriginal language Guugu Yimithirr don’t have this problem. Instead, they have an almost superhuman sense of spatial awareness [PDF]. Guugu Yimithirr, or Guguyimidjir, has no words for left and right. Instead, speakers give all their descriptions and directions based roughly on the fixed four cardinal points of the compass: north, south, east and west. So the light switch might be to your west as you enter the room, the television to your east. You might turn north at the traffic lights, then take the second road on the east. This sense of place even carries into inanimate objects, so if the reader of a book were to be facing north, they would turn the pages from east to west. Look at a print of American Gothic hanging on the east wall of an art gallery, and the woman would be to the north of the man (who would be holding the pitchfork in his right hand—handedness is one of the few areas that Guugu Yimithirr does differentiate between the two). Studies have shown that speakers of Guugu Yimithirr essentially have an in-built compass instilled into them in infancy through near constant reinforcement of the compass points in everyday conversation. The words north, south, east and west alone account for around 10 percent of a typical Guugu Yimithirr conversation, meaning that most speakers develop a fully-functioning directional system by the age of just 8. And with a sense of direction like that, who needs left and right anyway? So a language can do without left and right—but numbers? Well, the language of the Pirahã people of the Amazon not only has no concept of grammatical number (meaning that nouns have no distinct singular and plural forms), but no words for specific numbers at all. It was once thought that the Pirahã word hói (pronounced with a high O) meant “one,” while hoí (pronounced with a high I) meant “more than one.” But subsequent research [PDF] has apparently discovered that hói simply means “a small size or amount,” while hoí means “a large size or amount”; a third phrase, bá à gì sò (literally “to cause to come together”) is used to mean “many” or “lots.” But as for specific numbers, there aren’t any in Pirahã—making it possibly the only language in the world with no concept of counting. The materials, therefore, for a system of colour did not offer themselves to Homer’s vision as they do to ours. Particular colours were indeed exhibited in rare beauty, as the blue of the sea and of the sky. Yet these colours were, so to speak, isolated fragments; and, not entering into a general scheme, they were apparently not conceived with the precision necessary to master them. ... . . . I conclude, then, that the organ of colour and its impressions were but partially developed among the Greeks of the heroic age. Gladstone’s theory is understandably discounted today—not least because there were words for colors in Ancient Greek. Ultimately, the apparent decision of writers like Homer not to use them tends now to be explained as either artistic license (i.e. you know what color honey is, so describing it as “leaf-green” tells you more about its shade or its nature), or else implies that color simply wasn’t considered a particularly important descriptor (i.e. you know what color honey is, so I don’t need to tell you). But are there any languages that get by without color at all? Well, some languages certainly have reduced color palettes: the Himba people of Namibia [PDF] differentiate only between dark colors, greens and blues, white, and certain shades of brown and red. But only one language has so far been found to have no simple words for color at all—and it’s our old friend Pirahã. Pirahã speakers have words for “light” and “dark” but not individual colors, and instead are left to use their imagination to form unstandardized metaphorical comparisons. So something red might be called “blood-like,” something green “grass-like,” something blue “sky-like,” and so on. Pirahã speakers can certainly recognize colors, but their language doesn’t give them simple words to describe them. To English speakers, the fact that a language can do without separate words for yes and no might seem bizarre, but it’s not all that rare a phenomenon. The Irish language, for instance, has no direct translations of “yes” and “no,” and instead gives affirmative and negative answers simply by reiterating the verb in the question. “Did you go out last night?” “Did.” “Are you hungry?” “Am not.” The same is true of other Celtic languages, including Scots Gaelic and Welsh. 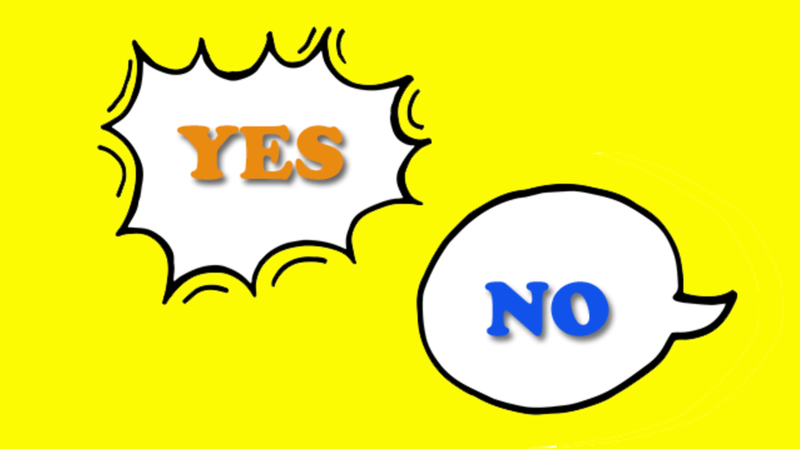 This method of answering questions is known as “echo response.” It’s used even in languages (like English) that do have yes and no of course, in which case it’s often used to give more emphatic responses than a yes or no ever could. (“Did you have a good time?” “I did not!”) But in languages like Irish, echo answers are the only option available when answering questions—but that doesn’t mean you can’t answer a question at all. But if you’re asked a question in English (or Irish, for that matter), at least you’re able just to answer it, plainly and simply. Speakers of some native South American languages, however, have no means of giving straightforward answers to straightforward questions at all. Instead, they have to give answers and make statements, no matter how mundane they might be, that are inflected to show precisely how they came to know what they’re talking about, a concept known linguistically as evidentiality. So if, for instance, you ask a Matses man how many wives he has, unless he can actually see his wives at that very moment, he would answer in the past tense and would say something like daëd ikoş: ‘two there were’ … In effect, what he would be saying is, ‘There were two last time I checked.’ After all, given that the wives are not present, he cannot be absolutely certain that one of them hasn’t died or run off with another man since he last saw them, even if this was only five minutes ago. So use the wrong inflection in Matsés, and you’ll not only have made a grammatical error, but you’ll effectively have told a lie.